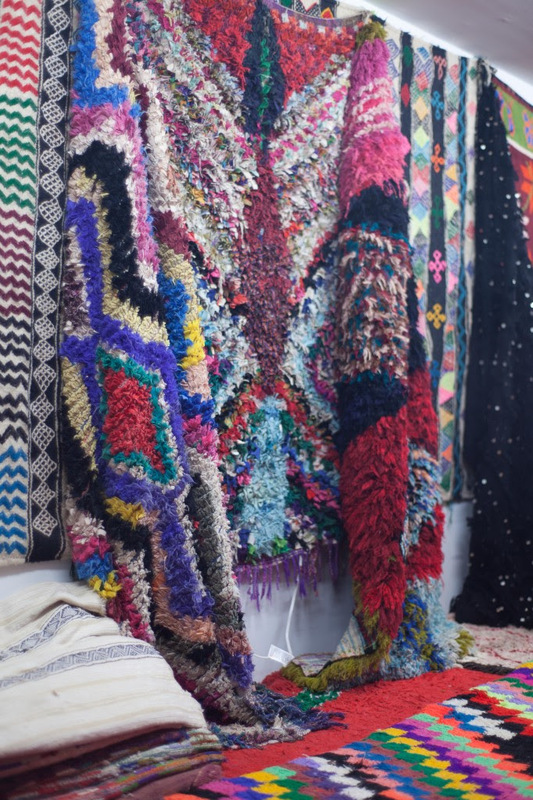 Magic Flying Carpets of the Berber Kingdom of Morocco will be having a month long pop up souk at NOVELLA. Vintage and Contemporary Moroccan Carpets will be on view and available for purchase. The origin of Berber carpets date back to the Paleolithic era and were made by Berbers in North Africa. The hand spun cloth they created was named for the tribe, and they used natural fibers to create cloaks, rugs, and other fabrics. Handmade and usually homemade Berber carpets are still an active industry in many rural areas of Berber countries. Many Berber families earn their primary income from building-up carpets manually and selling them in local markets, or to merchants and tourists. Traditional Berber carpets differ from modern mass-produced Berber carpets that are usually found in industrialized markets. They often employ cultural designs and are typically made of natural materials.